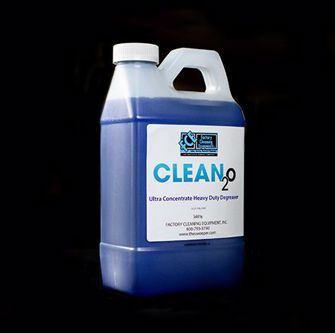 CLEAN2o is a simplified chemical system that allows you to always have the cleaning chemical that you need to keep your facility at its cleanest. There are two different kinds of Ultra Concentrated detergents available, Green Cleaner and Heavy Duty Degreaser. Our team of trained professionals will come to your facility, run some tests and give you a recommendation on which of these two chemicals will best suit your needs.